What has become table stakes for ISPs? On fiber, it has to be 100MB minimum. Any service has to offer enough throughput so Netflix doesn't buffer. The wi-fi, which the consumer cannot separate from the Internet pipe, has to work really well. This is a problem when the household has more than a dozen devices connected to an AP. 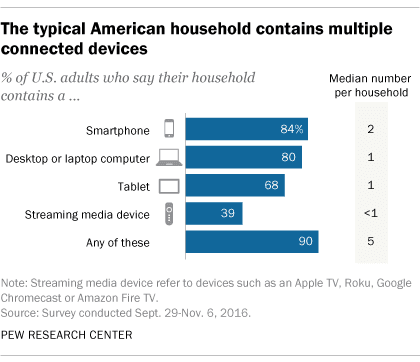 Even AT&T has proclaimed, "Improving the in-home Wi-Fi experience has become ‘table stakes’ in the competitive broadband marketplace." Google’s Chromecast and Home devices can cause temporary Wi-Fi outages, here’s why. If you are going to FISPA LIVE, come see Marketing: Bundles to Compete.